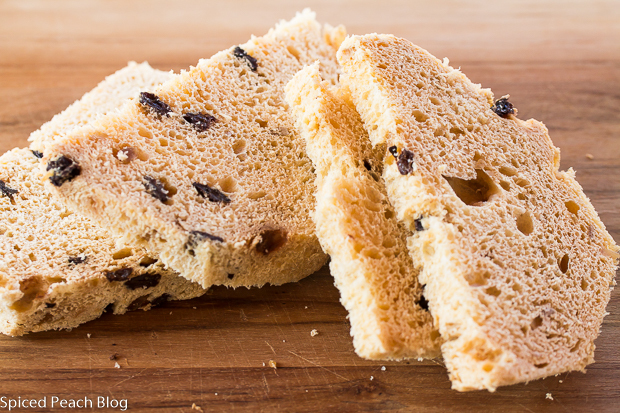 I’ve had a sort of love affair with Panettone going many years back now to when my friend Frani began gifting Tommy dePaolo books to my kids, one of which is “Tony’s Bread.” That airy bread like cake with candied fruits and raisins, appearing in the shape of an over-sized, upside down, clay flower pot. And for these many years, as the octagon shaped box packaging of the wrapped Panettone begins appearing on the holiday shelves at the markets, I always purchase one for me, and others for friends, that I include with varying assorted treats and spirits as house gifts upon holiday parties. Now in Tony’s Bread, Angelo, the wealthy nobleman from Milano falls in love with Tony’s daughter, Serafina, the young woman who cries in her window and eats too much dolci on account of loneliness, as up to that point no man has yet been considered good enough by the widower, Tony the baker. 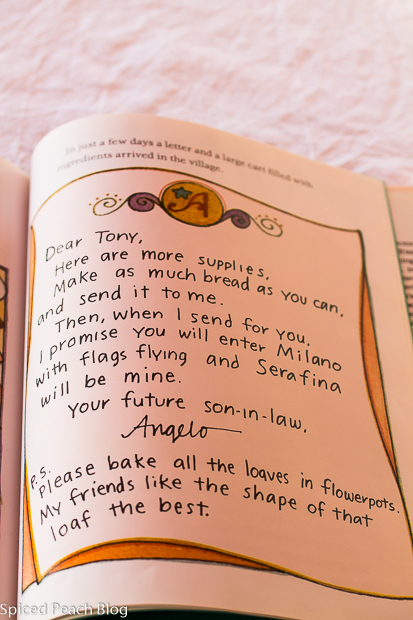 That is, until Angelo sets in motion the sweet scheme for claiming his bride by appealing to the dream of Tony, to be the best baker in all of Milano. Of course, when Tony arrives in Milano and see’s the amazing talent among the bakeries and pastry shops, he momentarily becomes discouraged, until Serafina and Angelo inspire Tony a creation of ” the richest, lightest, most wonderful bread anyone has ever tasted- out of the whitest flour, the biggest eggs, the creamiest milk, the sweetest candied fruit and the plumpest raisins.” And then…. Smart and charming romancer that Angelo is. Isn’t he? The flags were flying, the crowds were cheering, “pan di Tonio-Tony’s bread.” This, as Angelo the wealthy nobleman from Milan, and Serafina, from just outside the grand city of Milan, were married in the chapel nearby. With the weekend blizzard on these east coast parts at hand, 30 inches of snow in my neck of the woods, it rather provided the opportunity for a leisurely breakfast, and with some Panettone on hand, I remembered my friend, Debbie from Texas, sharing with me on New Year’s Day that she prepared Panettone French Toast with her extras, which of course, I thought was a splendid idea. It is. 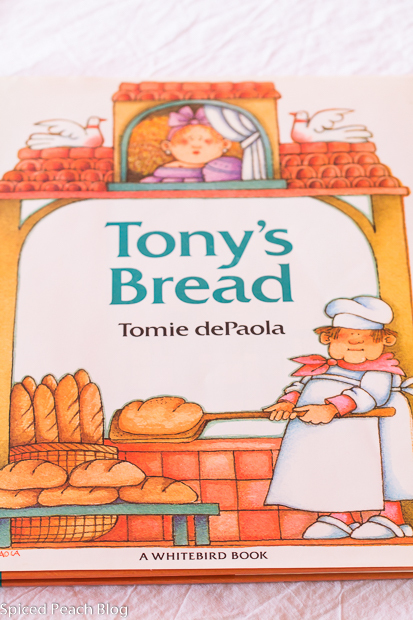 And as the snow piled up, it also provided the opportunity to enjoy one of my favorite books of all time, “Tony’s Bread,” gifted to my kids by my friend Frani so many years ago, and causing me a love affair with that light and airy bread like cake appearing as an over-sized, upside down, clay flower pot, filled with candied fruits and the plumpest raisins, then plated up with a sweet little romantic story, French Toast Panettone. Beat together eggs, milk, Cointreau, and sugar, in a medium sized bowl. One at a time dip Panettone slices into the egg mixture then carefully place into a large skillet with warmed olive oil on medium low heat. Cook each side a few minutes until golden brown before carefully flipping over and cooking the other side another few minutes. Remove cooked French Toast Panettone from pan, cut in half and arrange a few slices onto each plate drizzling with the maple syrup and sprinkling with the 10x confectioners sugar. Serve hot straight away. This entry was posted in Breakfast and Brunch and tagged French Toast, French Toast Panettone, Panettone, Panettone French Toast, Tony's Bread. Bookmark the permalink. Post a comment or leave a trackback: Trackback URL. Our second graders do a Tomie dePaola author study. They love it; they love his books and all of his characters. 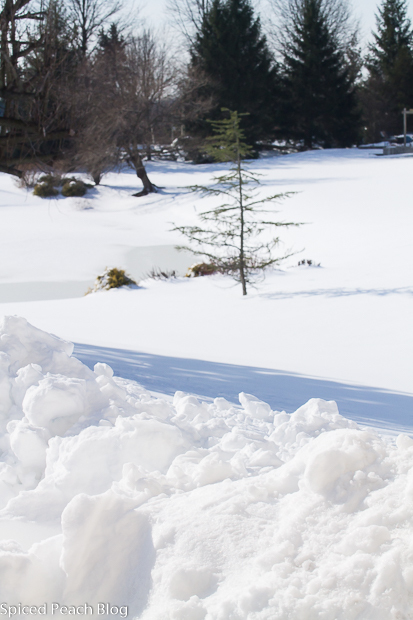 I hope you’re all dug out and enjoyed the respite from the blizzard of 2016. Luckily, we had nothing; only flurries. 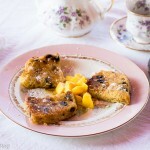 The panettone french toast looks delicious. What a treat. Oh my gosh Kelly, so excited to see that your 2nd graders do an author study on Tomie dePaola! I too just love his books and characters! My friend Frani started the girls on Strega Nona (much because she has great similarities to herself.) And from there we moved on. I then shared them with Jason and he especially loved Pascual and the Kitchen Angels. These are books I continue to treasure even at mid-fifties, and though I am constantly giving away what I no longer use, as far as the Tomie dePaola books, I shall always keep these! I cannot believe you didn’t get a snowstorm, wow! 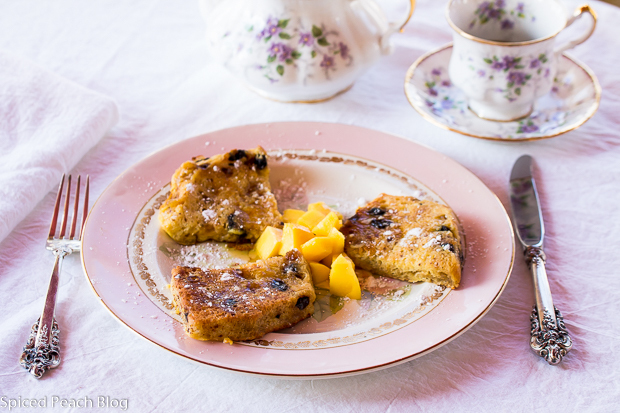 The Panettone French toast is definitely a sweet treat! Beautiful photos. I love the first picture, the one with ready meal and lovely arrangement. Thanks so much Jolma, the French Toast Panettone are a bit of a sweet treat, lovely on a snowy day too. 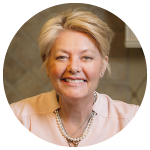 Hope you are well and I loved sharing your recent post on Losar and wishing you many happy celebrations! 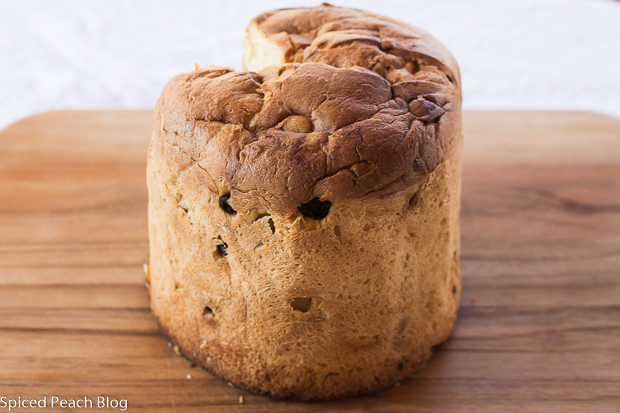 This looks really good using the Panettone. I never thought of this idea and I have some Panettone wrapped up in my refrigerator. Definitely making this over the weekend. Thank you Joanne, so happy to hear, Enjoy!